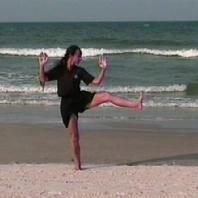 If you're not already familiar with Tai Chi by the Sea's classes the DVD's may not be useful, but if you have attended one or more classes then the DVD's can be used to help you practice the Tai Chi forms. Each DVD cost $24.95, plus shipping and handling and/or FL sales tax if applicable. 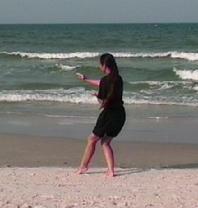 24 Forms with 8 Pieces Qigong. This DVD covers basic Warmups, Tai Chi hand movements, Walking exercises, front and back views of the Yang style 24 forms, the 8 Pieces of Silk Brocade Qigong exercises and Closing Meditation. This DVD gives front and back views of the modern Yang style 40 forms, the competition 42 forms and the traditional Yang Short forms. It includes Warmup Exercises and Closing Meditation.